We developed scrn out of frustration when working in advertising agencies and constantly having to share creative assets across teams and clients. The time it took to drop assets into display documents or FTP for digital, then wait for multiple people to provide their feedback through a myriad of emails was inefficient and cumbersome. scrn was designed to make it easy to upload, share, review and approve visual assets all in the same environment. We wanted a simple interface that made it easy for people to share and approve assets between individuals, teams and agencies. It began with wireframes that illustrated the desired user-experience. This resulted in end-functionality that enabled uploading files with drop-and-drag simplicity. Later came user permissions and link sharing that gave admins complete control over who had access to creative assets. 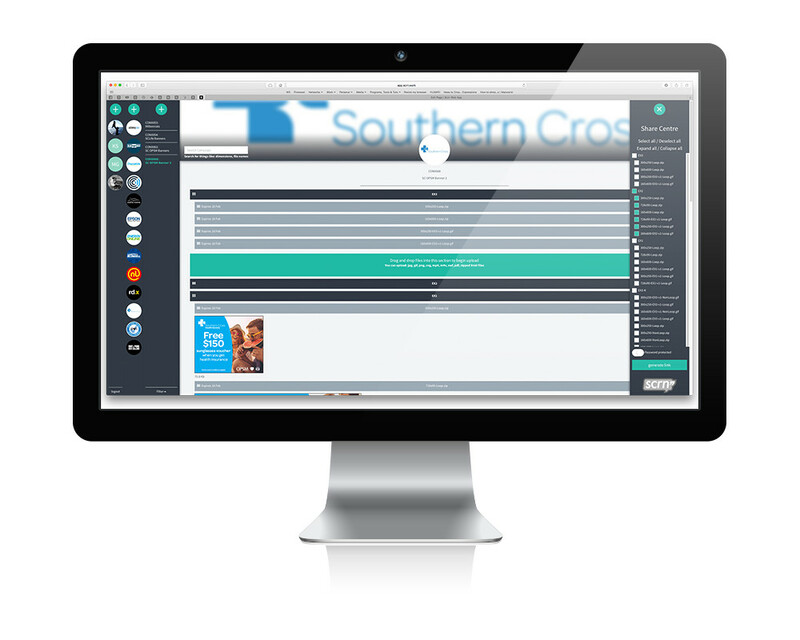 scrn wouldn’t be complete without the feedback centre that allows users to make comments and approve assets within clients. campaigns and projects. After much testing, the scrn web app was launched. With the tool live and kicking, we needed to create a brand that resonated with our different personas. We identified early on that the scrn brand would be quirky and fun; it’d show off scrn’s features using bright colours and emotive imagery. After experiencing ‘agency land’ first-hand, we knew that humour would be more likely to cut through the noise and make splashes in the market. The website needed to show off our brand attributes while clearly explaining what scrn is, what it does and who it’s for. This required iterations of copy, animations and visuals that included humour while still speaking to our personas’ pain-points. As customers started using scrn, we created FAQs to help answer common questions and added live chat as another customer service feature.